As a librarian, two of my greatest loves in life are reading stories and archiving information into a meaningful and easy-to-use fashion. As a Simmer, I love reading (and creating!) stories that follow Sim creations going about their lives within the various worlds of the Sims games. But it can be a bit overwhelming; there are a multitude of great sites out there dedicated to storytelling using Sims games, but I haven't found any place that acts as a proper hub to bring these sites together, and make it easy to navigate between them and bring more exposure to budding authors. That is why I have founded the Stories and Legacies Index, a virtual library located on Wordpress which aims to catalogue every user-submitted website focused around storytelling using any of The Sims games. Currently it has over 350 links in its main listing, and another 250 links in its archive listing. What can you do at the Stories and Legacies Index? Feeling artistic? Feel free to submit link-back banners or badges or banner art for the rotating banner art gallery! Why should you add your story to the The Stories and Legacies Index? All stories or video Let's Plays, regardless of Sims game used or style/format, are welcome! It doesn't matter if you are a brand-new author or a seasoned writer, and it only takes a few minutes to fill out the submission form to submit your work! The Stories and Legacies Index - Discover links to over 600 Sim stories, get updates and news on registered stories, and submit your own Sim stories to the listing! Every good library needs a reference section! Here you can find essential forum thread links for the Simlit enthusiast! Writers' Lounge - This is the main hangout thread for the Sims 4 Stories and Legacies forum! Everyone is welcome; it doesn't matter what game you use to write your story, you will be embraced with open arms to chat about Simming, writing, and all manner of other topics! Hosted by @CathyTea and @friendsfan367 . Sims and Friends: Share Your Stories!! - This is the main hangout thread for the Stories and Legacies forum! Everyone is welcome; it doesn't matter what game you use to write your story, you will be embraced with open arms to chat about Simming, writing, and all manner of other topics! The Stories and Legacies Index Gateway - This thread is the "gateway" for the Stories and Legacies Index in the Sims 4 Stories and Legacies forum; the Stories and Legacies Index Newsfeed gets reposted there, so if you would like an easy way to get notified of just the news, I recommend clicking the gold star on the Stories and Legacies Index Gateway thread to keep updated! A Quick Guide to Simlit - This is the place to go if you are new to the world of Simlit! This is an amazingly in-depth, yet incredibly easy-to-understand guide on all sorts of Simlit topics; everything from setting up story websites and editing pictures to the best ways to advertise and promote a new story. The thread is also very open to questions and adding new content as needed! If you are interested in starting a story, check out this guide! Hosted by @Julyvee94 . Sims 3 Challenge List - Looking for new inspiration for a story? This is the new, updated, and maintained challenge directory for Sims 3! The "Stories and Legacies Index" of challenges, this is the place to go to look up challenge rules! This is an excellent place to get ideas for stories! Hosted by @Meeshelby . Sims 4 Challenge List - Looking for new inspiration for a story? This is the new, updated, and maintained challenge directory for Sims 4! The "Stories and Legacies Index" of challenges, this is the place to go to look up challenge rules! This is an excellent place to get ideas for stories! Hosted by @Meeshelby . Reading Circles - Reading Circles are small groups of writers who dedicate time to read each other's stories and have discussions with each other. If you are a new writer, joining a Reading Circle can be a great way to get those "first few readers," and they are also a great way to make friends or for those who enjoy reading but don't know what to read to get a dedicated set of stories to follow. If any of these things sound up your alley, definitely check it out! Hosted by @CathyTea . Freezer Bunny Book Club - Do you enjoy reading Simlit but you don't know where to start? Then check out the Freezer Bunny Book Club! Every week a different story is featured, with open "coffee hour" discussions taking place all day every Friday. Hosted by @CathyTea . Currently on break. 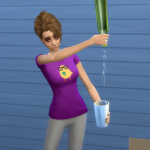 What Happened in Your Sims Game Today? - This thread, located in Sims 3 General Discussion, is all about sharing the stories happening during gameplay of various versions of Sims games. Fans of Simlit will enjoy browsing through the thread and following the different interesting stories of a variety of Simmers and their Sims! Hosted by @emorrill . What Happened in Your Game Today? - This thread, located in Sims 4 General Discussion, is all about sharing the stories happening during Sims 4 gameplay. Fans of Simlit will enjoy browsing through the thread and following the different interesting stories of a variety of Simmers and their Sims! Hosted by @cupcakesims . The Interactive Reality Game Show Community Thread - A discussion and hang out thread for interactive game show Sim stories and their community. If you enjoy interactive game show stories, feel free to check it out! Hosted by @Turner . Monthly Simlits: A Short Story Challenge - If you enjoy writing Simlit but are looking for a challenge, I'd highly recommend checking out the Monthly Simlits: Short Story Challenge thread! Every month is a different theme that you must use to write a story, using 1-12 pictures from any Sims game and 500-1500 words. It's a lot of fun! This thread is a continuation of the previous Short Story Challenges thread. Hosted by @Pegasus143 , and @SilentWolf101 . The Poetry/Song Lyrics Illustration Challenge - Another great thread for Sim storytellers who like to stretch their imagination and practice their in-game photography skills, this thread is dedicated to the creation of choosing a poem or set of song lyrics and illustrating it using the Sims game of your choice! Hosted by @PalmArrow . Choose-Your-Own-Simventure - Did you enjoy Choose-Your-Own-Adventure books as a kid? Are you interested in writing your own interactive fiction using Simlit as your medium? If so, this thread is the place to go for finding prompts to get you started! You can feel free to suggest new prompts or reserve one that has already been suggested! Hosted by @pronterus . The Pen Pal Project - Looking to take your writing in a different direction? The Pen Pal Project is a collaborative project with allows two Simmers to pair up and write a story together by exchanging pen pal letters between their Sims. This allows for even cross-game version projects! If this piques your interest, then check it out! Hosted by @CathyTea . 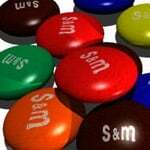 Simlit Celebrations and Discussions - Do you love Simlit? Do you want a place to discuss fan favorites? Do you like the idea of sharing what's on your Simlit reading list lately? Then this discussion thread is for you! This thread is all about sharing your enthusiasm for Simlit with others, so feel free to jump in and discuss your favorite stories, and what about them makes them your favorites! Hosted by @AdamsEve1231 . The Art of Sims Storytelling - This thread is all about discussing writing using the medium of the Sims games. Topics of discussion here include the process of writing Sims stories, the Simlit community, imagery and themes used in Simlit, the history of Simlit, and a variety of other subjects! Feel free to pose discussion topics and answer questions! Here writers can discuss their different approaches, outlooks, and philosophies. Hosted by @MedleyMisty . The Feedback Thread - This thread is the place to go if you want to get specific feedback on your Simlit writing. Please be sure to check out the guidelines, both for requesting feedback and providing feedback. This thread is designed to promote helpful constructive criticism at the request of authors! Hosted by @CathyTea . "It's Done!" - Have you recently finished a story? Come here to celebrate this amazing accomplishment with other Simlit authors! Hosted by @CathyTea . PurpleDaySims - Have you recently lost a beloved Sim in your story? Feel free to drop by this thread and honor their memory by letting us know more about their life, what made them so special, and feel free to share any personal stories about them! Hosted by @CathyTea . The Kindness Bench for SimLit Writers and Storytellers - Feeling discouraged, frustrated, down, and just in need of a little inspiration and encouragement? The Kindness Bench is a place where you can post if you are in need of a little positive energy coming your way. When writer's block, game glitches, plot complications, or drops in readership strike, if you need friendly encouragement, then come sit on the Kindness Bench. (I can't tell you how much this thread has helped me out... in fact, the Stories and Legacies Index is still here thanks to the encouragement of those on the Kindness Bench! It's an excellent resource!) Hosted by @CathyTea . The Writer's Hangout - Contrary to it's title, this thread isn't a hangout thread, but a promotion thread. Looking for a place to promote your new story chapters without feeling like you are interrupting a conversation or spamming? Then this is the place for you! The promotions on this thread also typically include graphical splash banners, so if you are the kind of reader that likes a "cover image" to catch your attention, this is a good thread to browse for reading material, similar to browsing the book covers in a bookstore! Here is a tutorial on how to do Amendments (that means to submit a change to information for an entry already listed in the index). There are no longer separate forms like there were on the forums. 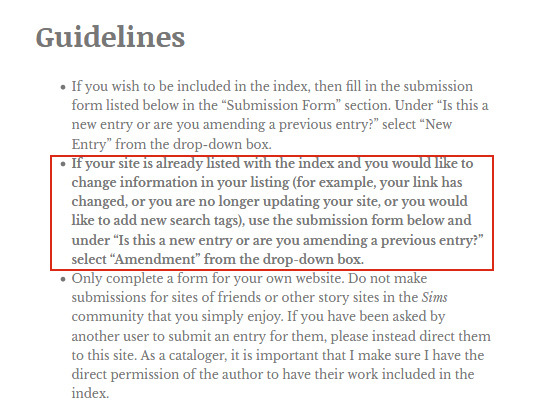 This a) breaks the coding on the site so the submission form can't work and therefore isn't possible to do anyway and b) in hindsite just seemed clunky to me when one form with an extra box for "new entry" or "amendment" makes for a much easier and cleaner presentation. This information is right on the front page of the site, under the submission Guidelines. I have now put it in bold text, since it seems no one is able to find it. 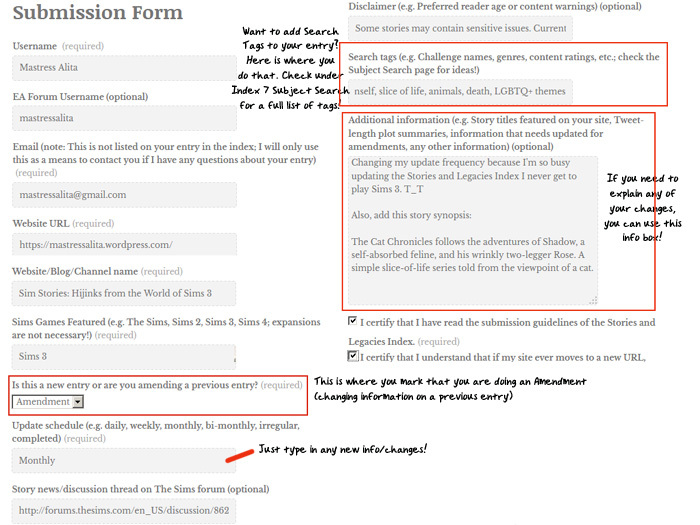 Here is an example of filling out a submission form when you want to amend (change) information. Note the area on the form where it says "Is this a new entry or are you amending a previous entry?" There is a drop-down box. You simply pick "Amendment" since that is what you are doing -- you are just making an amendment (changes) to an entry already in the index. Fill out the form with the things that are staying the same the same, but with any changes made on the form. In my example, I changed the frequency field. My entry is "Weekly" but I've changed it to "Monthly" in this tutorial example. While subject tags aren't required for an entry, they are helpful for readers to filter content and search for stories based on genres, topics, and challenges that interest them, so adding them in a good idea! Finally, you will find a generic "Additional Information" box. Here you can explain your changes if you need to (for example "I have moved my website to a new URL" or "I needed to change my update frequency" or "I would like to add some search tags". As you can see in my example, I've also added a short (think "Tweet-length") synopsis of my story to add to my entry. This was something not possible in the forums due to character limitations on posts, but now I can include them since the index is on Wordpress, so if you want to add one, just type one up there (again, Tweet-length, don't go out of hand!) and it will be added to your entry! And that's it. Hit Submit, and I will get the form the same as I would any other entry. The fact it is marked as an "Amendment" tells me it is already in the index, and I need to make changes to the entry. It's that simple! Please note the Stories and Legacies Index Gateway threads are not open advertisement threads. If you are looking for places to openly share a story link on the forums, check out the Writer's Hangout or Have a story blog or fan-site? threads. If you have a link you want to submit to be listed with the Stories and Legacies Index, please check the first post of this thread to go to the Stories and Legacies Index Wordpress. The Guidelines and Submission Form can be found there. Do not post your link to this thread. Authors registered with the Stories and Legacies Index may get highlighted in the nightly newsfeed. The purpose of the newsfeed is to encourage folks to go to the index to check out these works; please don't hotlink your story in these threads if you are featured in the newsfeed. The newsfeed states that folks can find your work listed with the index, and if they go there to get it, they may find lots of other interesting new stories to read in this massive virtual library, too. The newsfeed is not only to spread Simlit news, but also to make people more aware of all the amazing stories and resources available if they visit the Stories and Legacies Index link more often. I do believe this momentous occassion calls for a new badge! We've just unlocked the "Moved House" badge! Anyone who submitted their site to the Index on the original thread has automatically been moved over: you do not need to resubmit your site! If you have a Sims-related story site and you are not listed in the Index, please use this thread for all submissions, not the old thread! It is officially closed, and this new one is now the proper place for all new submissions to the Index. I would also like to take this moment to remind everyone that if you have any bookmarks or links to the old Stories and Legacies Index thread, to please update them to this new one. Thanks! Additional information: Featured story is still only 'Zoome Diaries', and the first page is updates. Chapters are now separated into different pages which should be easy to navigate. I like having fun, not trying to be original. Thanks @CoffeeZombieSims , I have everything updated! I agree, it is easier to navigate with the chapters separated out instead of on one long page like before.